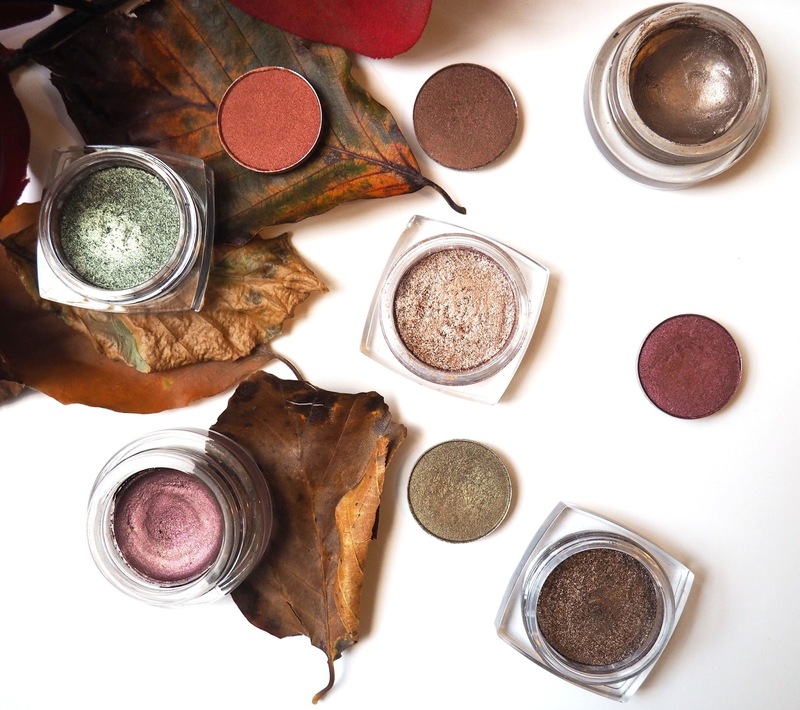 Today I have the final part of my make up bag update little series thing and it features a lot of pretty, shimmery eyeshadows- hooray! 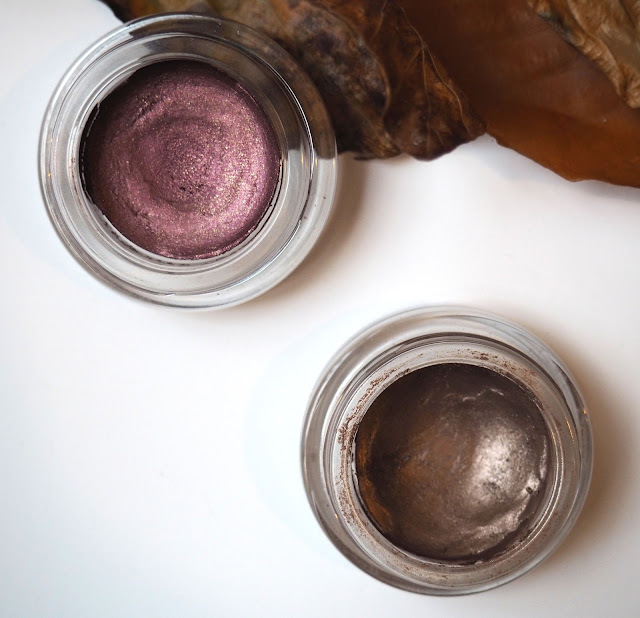 I have spoken about the Maybelline Colour Tattoos hundreds of times before so I won't go into detail about them- just know that they're awesome and in my opinion the best cream shadows out there. On And On Bronze is a great neutral shade and Metallic Pomegranate has gold flecks through it which really gives it that extra something you know? 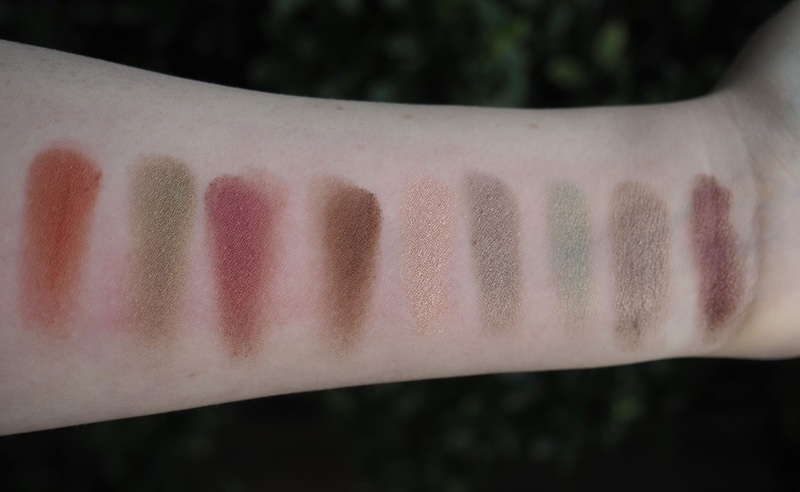 You can use these as a base and then build other eyeshadows up on top of them or do what I do and apply them with a flat brush and blend them out with a fluffy one, takes about two minutes and you're set! 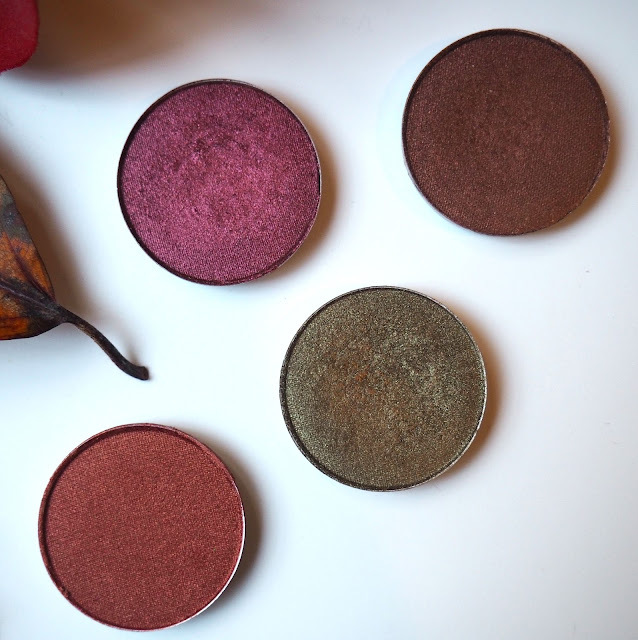 I picked out four Mac shadows that just scream Autumn. I have to admit these are ones I've had in my collection for a while, I don't tend to buy Mac eyeshadows these days as they're so expensive compared to brands like Make Up Geek. Having said all that, I absolutely adore these colours and have been wearing them loads. Cranberry is one of those colours that seems to get a lot of hype surrounding it and I totally get why, its stunning! I got Coppering in New York earlier this year as I just kept picking it up every time I went to a Mac shop, its very red toned so I wasn't sure this would suit me but I actually really like it. I always dig out Sumptuous Olive as I need its green/ gold prettiness in my life, it makes my brown eyes pop too. Finally I have Antiqued which is a gorgeous shimmery bronze shade, this is one of those colours you can be really lazy with and just sweep it all over the lid without using any other colours as it looks amazing on its own. 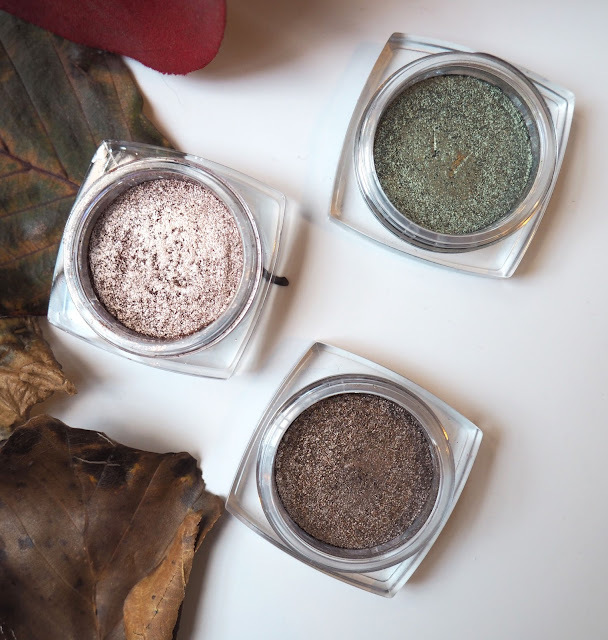 The Loreal Infallible Eyeshadows come in some of the most perfect shades for Autumn, they're pressed pigments which are so much easier to work with than loose pigments, which I tend to stay away from. Like with loose pigments though, these shadows have a great colour pay off. I have the colours Amber Rush which is a rose gold, Bronzed Taupe which is what it says on the tin and Golden Sage which is similar to Sumptuous Olive but more on the green side. I hope you've enjoyed these past few posts as I've had fun digging out all my Autumnal products. Which make up items do you love at this time of the year?